Williamsburg Photo Du Jour: Frost Street Gets In The Halloween Spirit! first i wanna thank you for posting our door i wanted to know as we change the door if you were gonna post it. this way i can email you when we change it rather than leaving a comment on the website. alot of people come to the house to look at the door cause they saw it on your website. I finally had the time to swing by today. It’s really neat! I realize the glare makes these images somewhat difficult to discern. 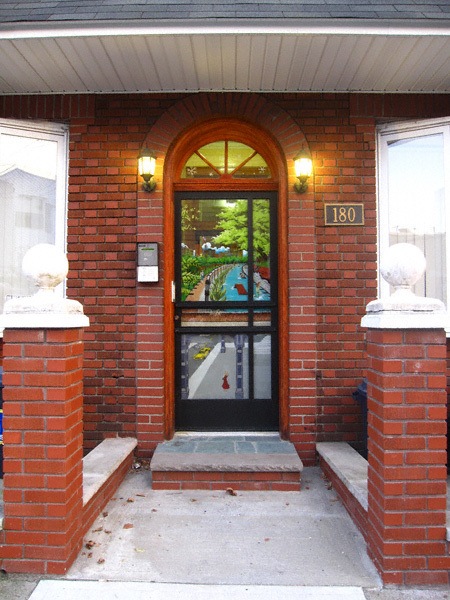 Go to 180 Frost Street and see it for yourself. You will not be disappointed! One Comment on Williamsburg Photo Du Jour: Frost Street Gets In The Halloween Spirit! Hey Miss Heather- I’m Lisa, the painter of the window. Thanks for giving me such great press! 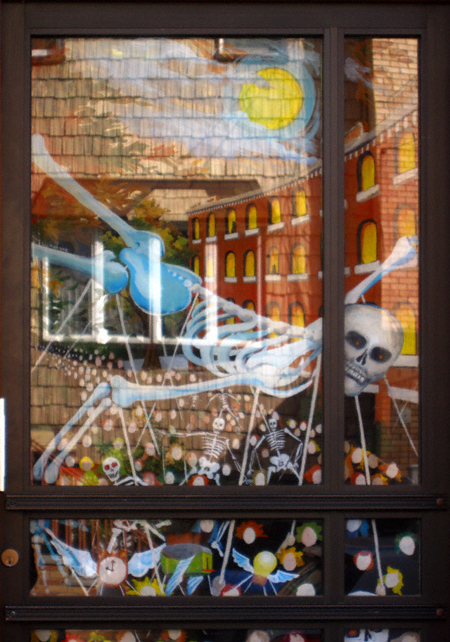 Erma told me that she had emailed you about our Halloween window- thanks for checking it out.